DaBeef, thank you. I can't wait to see your next post. Any idea on where you are wandering next? I had not been back to New Orleans since the spring of 2005. Though we did not visit the hardest hit/ economically repressed neighborhoods, much of the town seemed thriving and even more bustling with tourist dollars than I remember. It was a little weird see­ing a giant shiny condo devel­op­ment in the Bywa­ter, though much of that neigh­bor­hood had the same funky, slightly fes­ter­ing, but col­or­fully vibrant vibe as it did when I used to stay there last decade. It was a quick trip– a three day jaunt, though I'd say we did it up right. We had the advantage of a recommendation list from a reputable source. 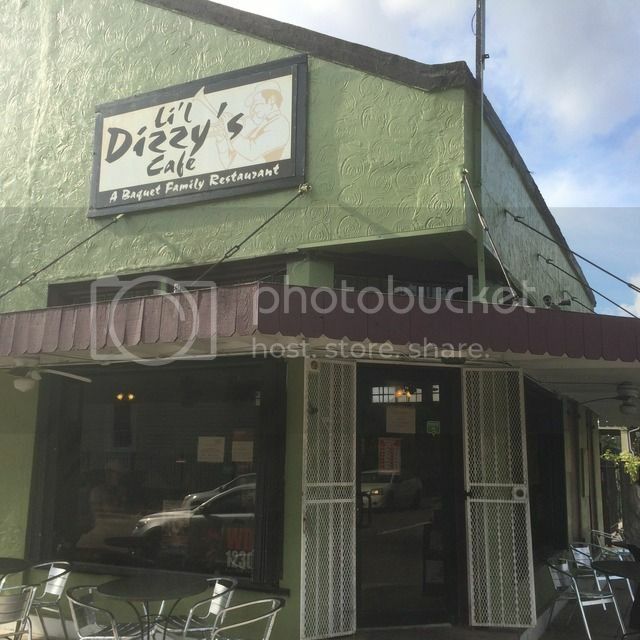 Within an hour of land­ing we found our way to Lil Dizzy's in the Tremé. Poor us, we had to take an al fresco seat on the side­walk on a 75 degree, sunny day in Decem­ber, since the place was packed-to-the-rafters, host­ing a graduation party. Inside, the buffet was the heat of the action and our so-sweet server confirmed that that was their star attraction for lunch, particularly for rounds of gumbo and fried chicken. Opting for fresh-from-the-fryer chicken, we ordered a la carte. 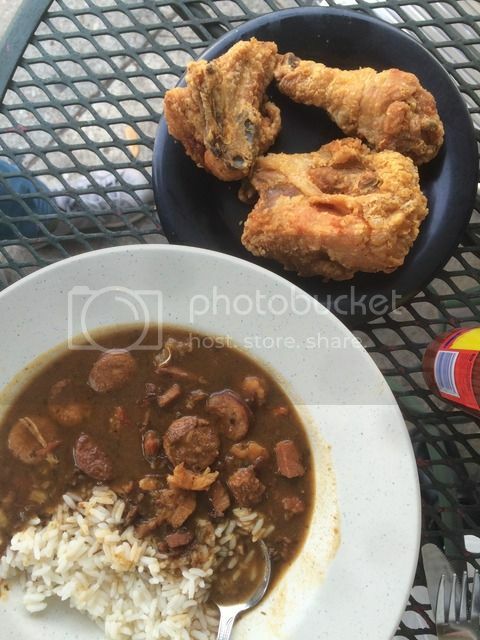 We gid­dily dis­patched of the crispy fried chicken and bowls of deep cre­ole gumbo, rich with filé and a seafood-based stock, chock full of all sorts of meaty bits like shrimp, tasso ham, andouille, and was that a sec­ond type of sausage? Lunch was digested over an eye-opening trip to the Back­street Cul­tural Museum. This homespun institution is a gem, I'd say a must-visit. 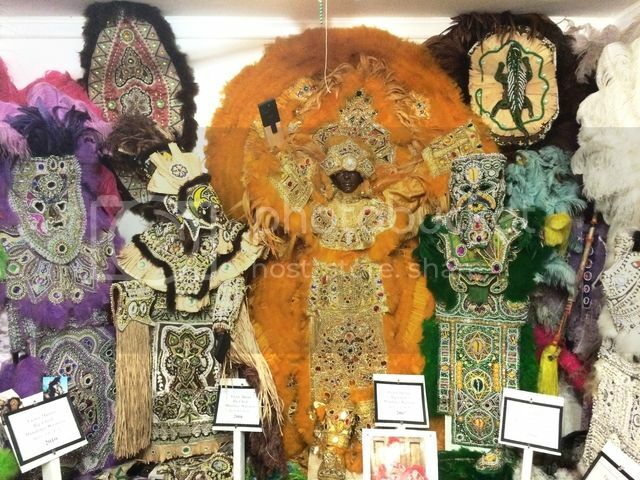 There are three dusty, though carefully curated exhibits displaying mardi gras costuming, jazz funeral ephemera, and most dazzlingly, a psychedelic temple to the Mardi Gras Indians. Lil Dizzy's and the Backstreet proved to be the perfect intro to New Orleans culture within in a two block radius in the most quintessential of New Orleans neighborhoods. For dinner we decided to hit up two Donald Link spots, appetizers and cocktails at Pêche and dinner at Cochon. We preferred Pêche in terms of the overall experience, the service was more polished and the room, though sprawling, felt cozy with its wood beams festively decorated in Christmas lights. I enjoyed a textbook sazerac. We split the fried bread, which didn't do much for me as a donut hater, they were essentially savory donut holes. A recommended dish of catfish with pickled greens and chili broth delivered with heat and acidity; with its Vietnamese leanings, it would be the most untraditional bite of the trip. 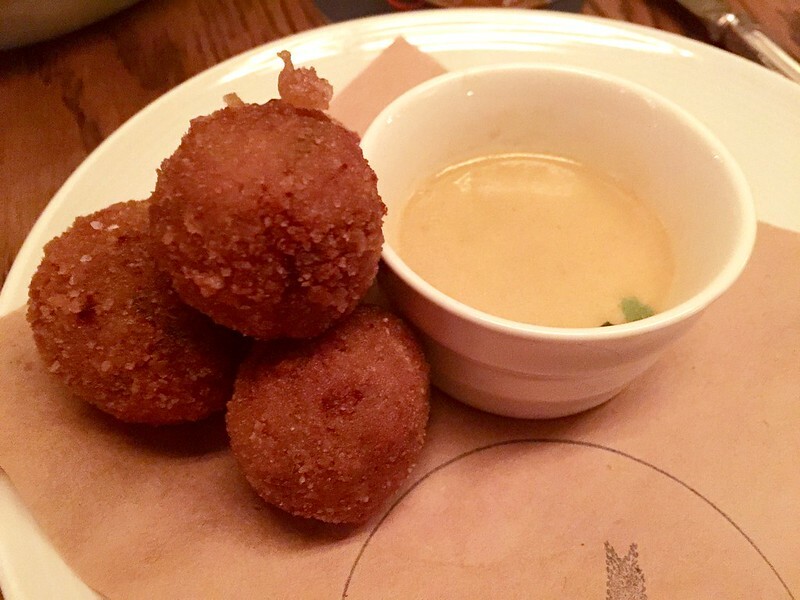 The food at Cochon was pretty right on, crispily breaded balls of comforting boudin, juicy sweet oysters broiled with cheese and garlic, and an extra flaky meat pie with a peppery boudin-esque filling. I guess we ordered only appetizers that night. We did not really dig the feel of the place, however. Service was very distracted and the vibe had a high volume/ turnover haste to it. Pêche was much more laid back and elegant. 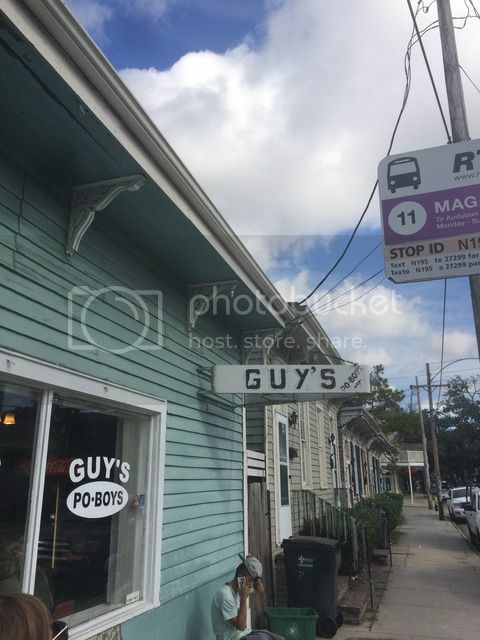 A sand­wich 1–2 lunch the next day found us across town on Mag­a­zine street, first stop Guy's for po boys. 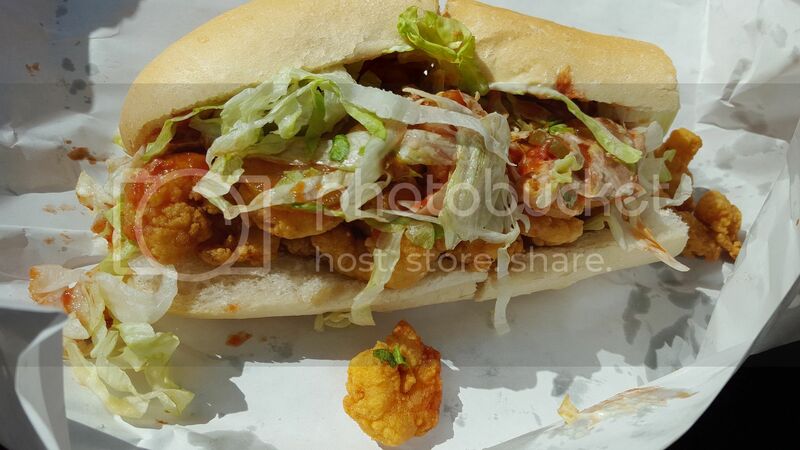 In previous trips, I'd always stuck to fried seafood po boys, so the roast beef was somewhat new to me. 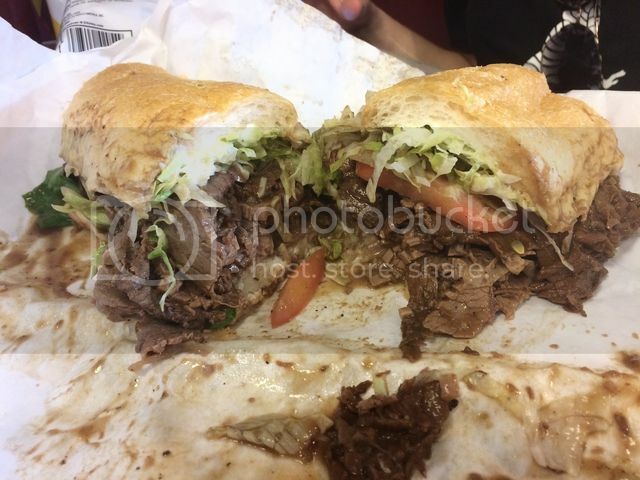 The rumors proved to be true, this sandwich was a kiss­ing cousin to the Ital­ian beef, though the meat rendered a bit more falling-apart and the gravy less aggressively seasoned. The sturdy, chewy bread was really similar to Gonella, though the dressing made this as unman­nered of a messy of a sand­wich as I’ve met. 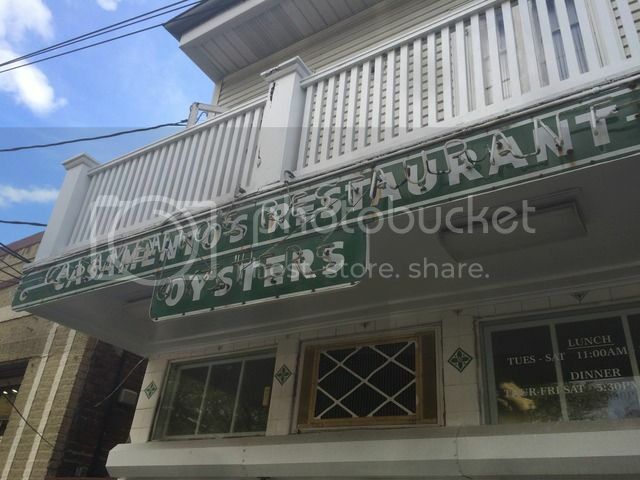 I was pretty smitten with gut buster sand­wich #2 at the beau­ti­fully tiled 98 year old legend, Casamento’s. The ban­ter was as thick as the line was long (45 minute wait), but it was worth it. The two handed beast of the oys­ter loaf was seem­ingly built on half a loaf of bread. Maybe my one complaint, too much low rent white bread– I ate mine open faced, ditching the top slice. The filling was entirely gorgeous though, stuffed with brit­tly corn-breaded oys­ters that were sweet as can be. 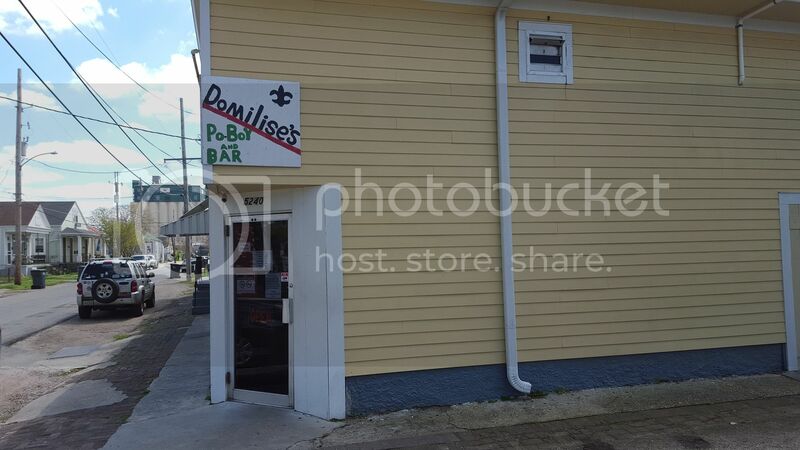 My other favorite meal (next to Dizzy's) was back in the Tremé at the insti­tu­tion that is Dooky Chase. I knew about the famous guests, their impor­tance to the neigh­bor­hood, the Chase family’s phil­an­thropy, and their com­mit­ment to local art. I was not pre­pared for how damn good the food was. 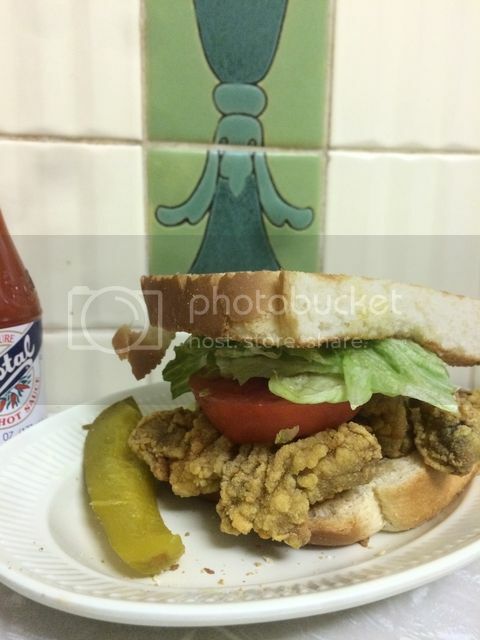 Chicken cre­ole with jam­bal­aya was even more com­plex than the gumbo down the street at Dizzy's– its like the best creole sauces just sit on the stove for weeks on end, with new bits and sea­son­ings thrown in the pot each morn­ing. 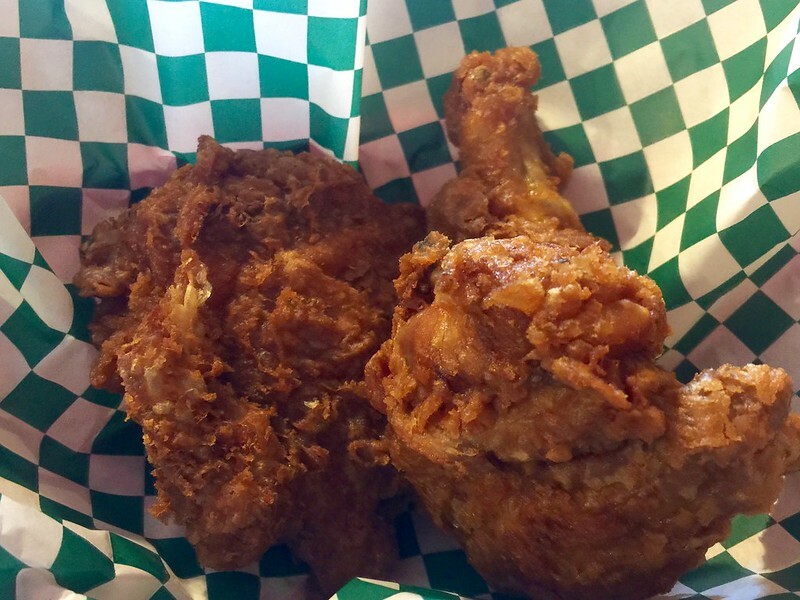 As good as that was I couldn’t keep my hands off of my wife's per­fectly fried chicken that was surely brined, so juicy with a hit of gar­lic. We had a cou­ple of snags in our ser­vice, which the floor man­ager, mak­ing rounds of the din­ing room, was quick to real­ize. To make it up to us, she invited us back into the kitchen to meet head chef and matri­arch, Leah Chase, who well into her 90’s, was still don­ning an apron and overseeing the operation of the kitchen. On our final day we had a decent brunch at Lüke, near our hotel. Seated at the chef's table, we were spoiled rotten by the service. Highlights were an Asian- leaning plate of sweet and spicy Brussels sprouts and creamy-as-all-get-out grits. 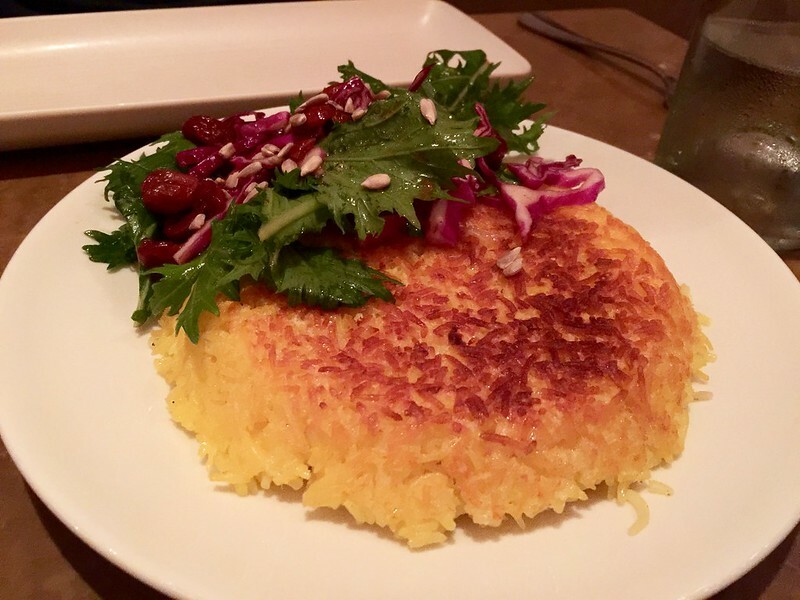 A heavy hand with seasoning– either a discernible sweetness or over-saltiness made a few other dishes less enjoyable. 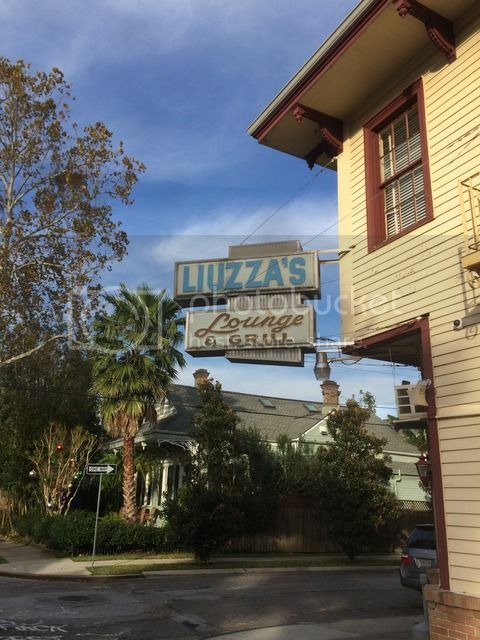 Lunch was also less-than-noteworthy at Liuzza's by the Tracks where I ordered their signature BBQ shrimp po boy. The shelled shrimp were fresh and sweet and certainly abundant. I also dug how they cored the roll and stuffed it. And have any of you Nayarit style mariscos fans ever noticed the kinship between NO style BBQ shrimp and dishes like camarones cucarachas? Shrimp + butter + hot sauce. The sauce here was too salty and the relatively bare-bones dish exhausted the palate pretty quickly. Perhaps the juices from shell on, head on shrimp, like the lovely version at Analogue, cut the aggressive sauce of this dish. Gotta say though, it was great to be back! 3 days is a pretty good length stay, I could see craving other types of food at the 4 or 5 day mark. Great to see how on top of the game so many of the stalwarts and neighborhood spots were operating. 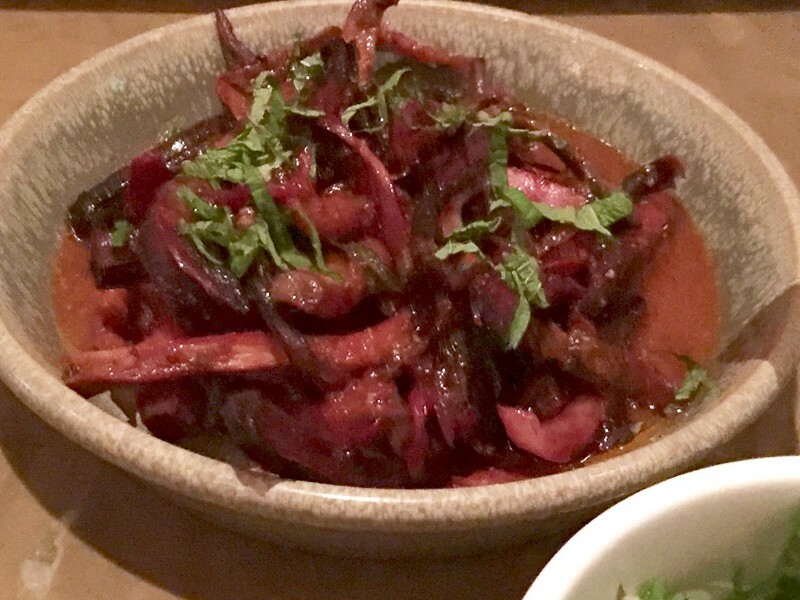 The new school spots seemed to turn out refined chow with big, bold flavors food and a eye on the traditions. As one of the truest expressions of a homespun American cuisine as we've got, I'll always have a deep love for New Orleans eating! Red beans and rice were really silky and flavorful., and I liked the shrimp boat as well. 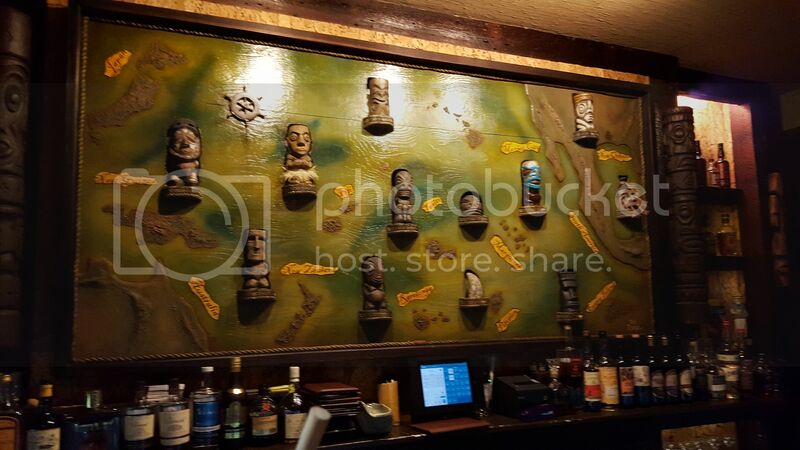 Latitude 29 - a tiki place right on Peters Street - the only place I stopped in twice - Bourbon street is a little crazy for me - enjoyed stepping in for a 2 Mai Tais on 1 visits and a Zombie on the next. Nice staff, laid back vibe - I prefer Foundation up in Milwaukees drinks, but Latitude was cool. District Donuts Sliders and Brew - newish donut and slider spot - had some breakfast here- thought there donuts were really well done - a light cinnamon sugar one was my favorite. Blue Crab - another seafood spot - this one up on the Lake - upper and lower outside decks for enjoying the food, suds and rays. more bugs - - didnt have a bad one on the trip. my photo does not do this dish justice - the shrimp - monsters, their flesh more like lobster meat. and the sauce - dipped everything I had in it. corner joint - hell yes - enjoyed a few beers while waiting my turn - Id be here at least once a week if this spot was in my hood. 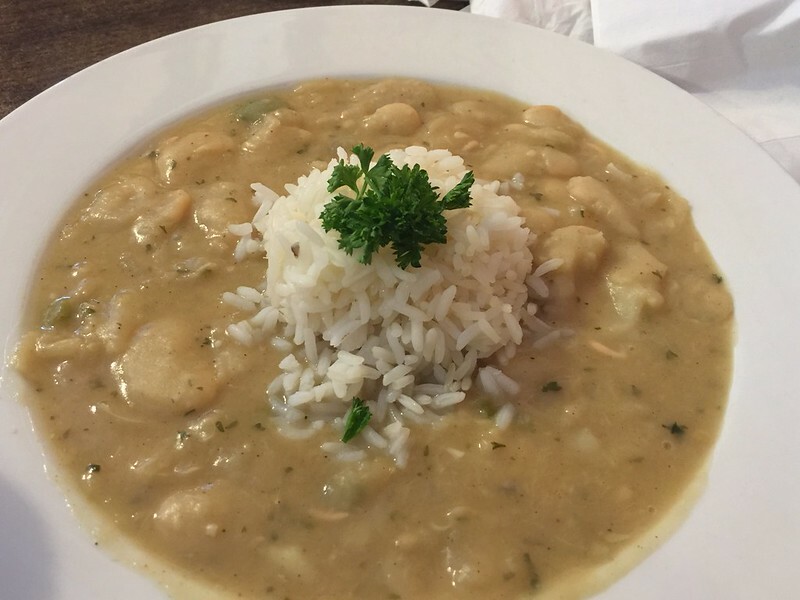 As I mentioned just a couple quick stops on the way to and back from Biloxi - I enjoyed everything I had & since I was driving so the stops were my call - lol - We Also got to squeeze in a visit at W. Jacobs in LaPlace on the way back north to Illinois. Dom's is the best. Lives up to every inch of the hype it's engendered in the almost 100 years of its existence. The only thing I hate about Domilese's is having to make a choice on what sandwich to eat. So glad to hear that even with Dot's passing, the place is still going strong and doing it's thing. I have to ask though--what in the heck were you doing in Kenner LOL??? I actually lived there for a year when I was working for Gallo my first year out of college--other than being close to the airport and the home of the only upscale mall outside of downtown, it didn't really have much to recommend it--I'm sure that's changed but still not an area you hear much about in the travel blogs As always, you do cover some serious ground when you travel--impressive for sure! 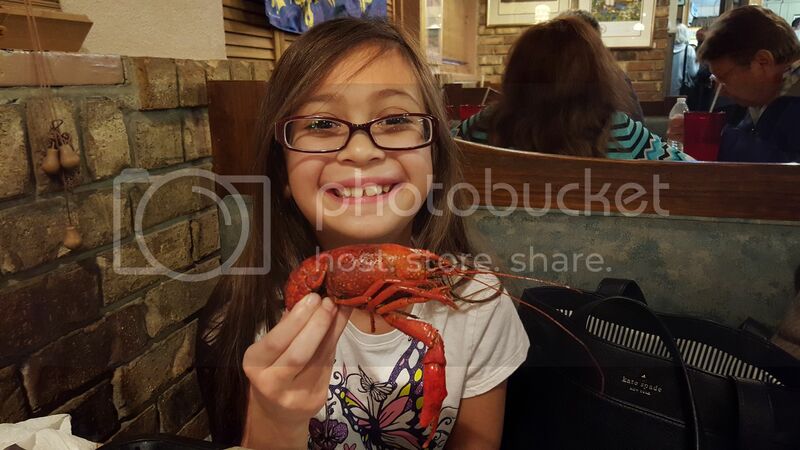 Thanks for sharing your trip and pics. 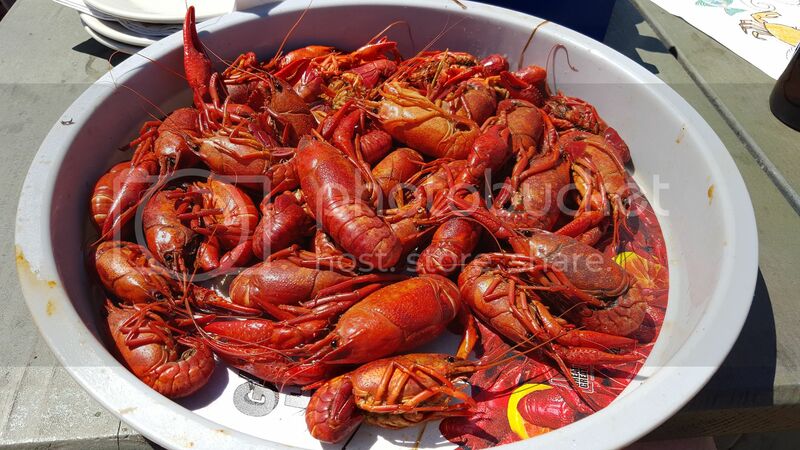 Laissez les bon temps roulez!! Kenner, our hotel was in laplace, wasn't planning on going into new orleans at all on sat. night, -was going to stay west of downtown - since I'd been driving off and on since 1am. But we kept getting closers to nola., but with no dinner res. Had kenners shrimp boat on my list so it worked. Either way we went to the quarter after dinner anyway, got a 2nd wind I guess. Help! So many damn NoLa threads, but this is the most recent so . . . I spent a quick weekend in NoLa last week. I met a friend of mine who was there for work. I've been to NoLa many times so I decided to veer from my usual paths. In fact, all of my meals were at places I had not previously dined. For lunch on Saturday, I finally made it to Willie Mae's Scotch House. We arrived about 12:45 and had about a 30-minute wait (it looked much worse than that). 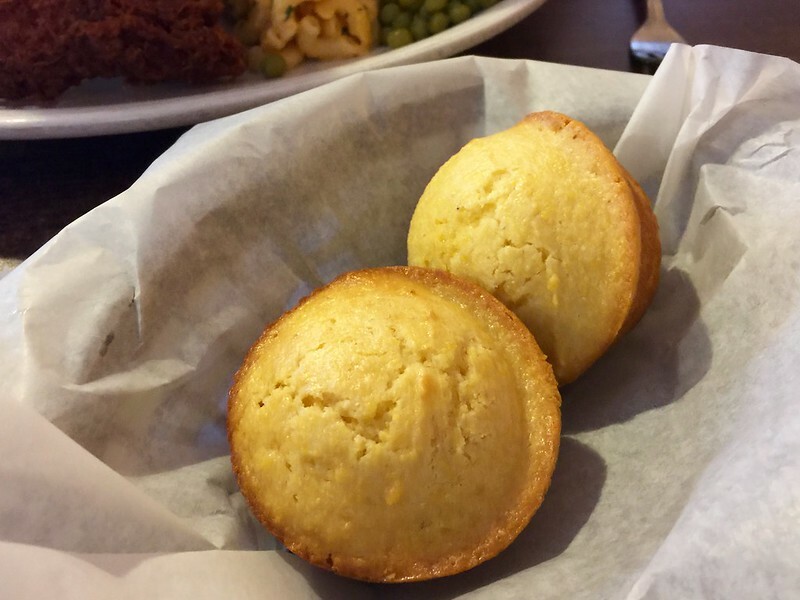 Quick and friendly service, cooling sweet tea, tasty cornbread muffins, excellent fried chicken, solid mac and cheese and delicious butterbeans. Glad I finally made it. The chicken had a thin, brittle crust and was ever so slightly greasy, and was delicious. 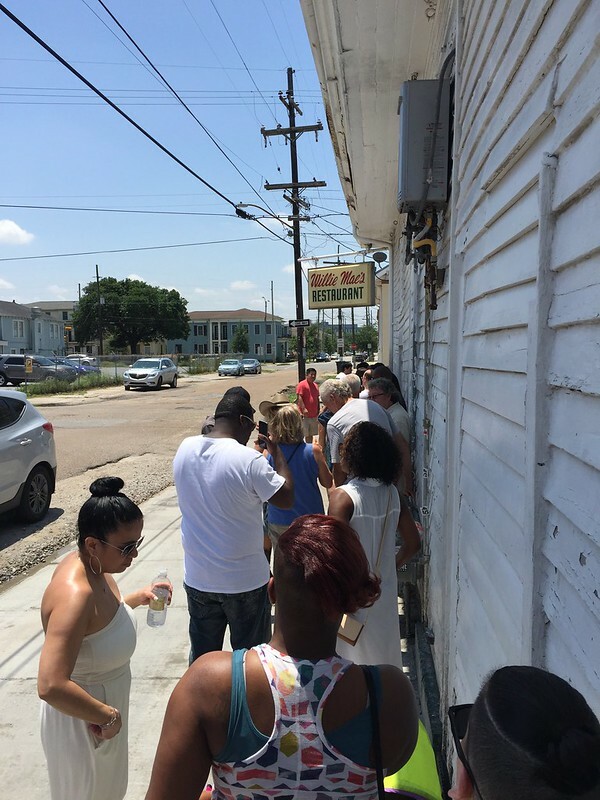 We also had a very cool walk from our hotel in the French Quarter through Treme to get to Willie Mae's - not a long walk, but certainly many great sights. Dinner Saturday was at the highly acclaimed La Petite Grocery. Sadly, it didn't live up to my expectations. We began with terrific crusty French bread. But it's not made in-house so I can't give them that much credit. My starter of blue crab beignets was fantastic, though really heavy. If you get them, share them and add another appetizer. Our entrees were less successful. I went for the Alligator bolognese. I don't know if they make their own pasta, but the pasta itself was terrific and cooked perfectly. The bolognese was a little less successful. The alligator seemed to get lost, and I just didn't find anything particularly unique about it. Sure, a little spicier than normal and perhaps some Cajun seasoning, but though I liked it I was not thrilled. My dining companion's shrimp and grits was less successful. I didn't appreciate the shell-less shrimp and there just wasn't a ton of flavor. I would send almost anyone to Dante's Kitchen for their head-on shrimp and grits -- still the best version I've ever tried. 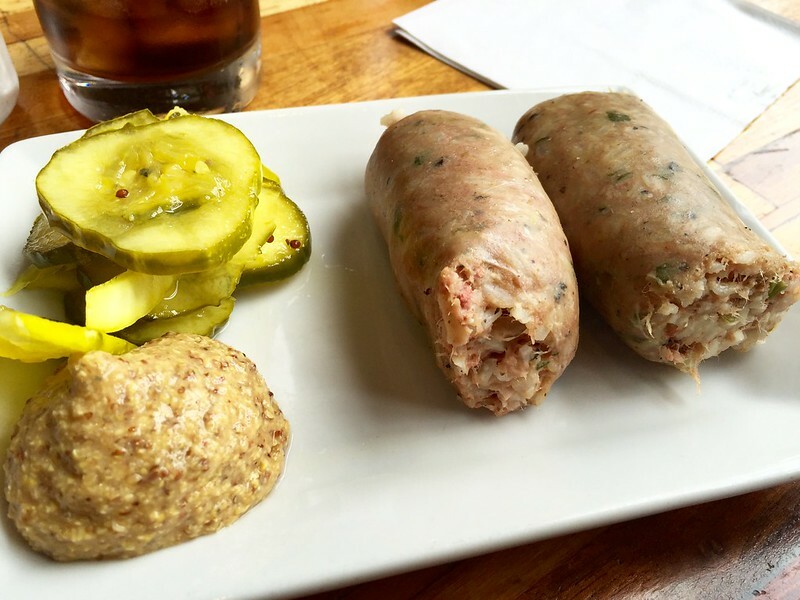 Lunch Sunday was at Cochon Butcher. I've been to Cochon a couple of times (I'll keep returning for the best damn crawfish pie I've ever tasted) but this was my first visit to the more casual location. Highlights were definitely the boudin, the pork pie and the chocolate-peanut pie (unreal!). 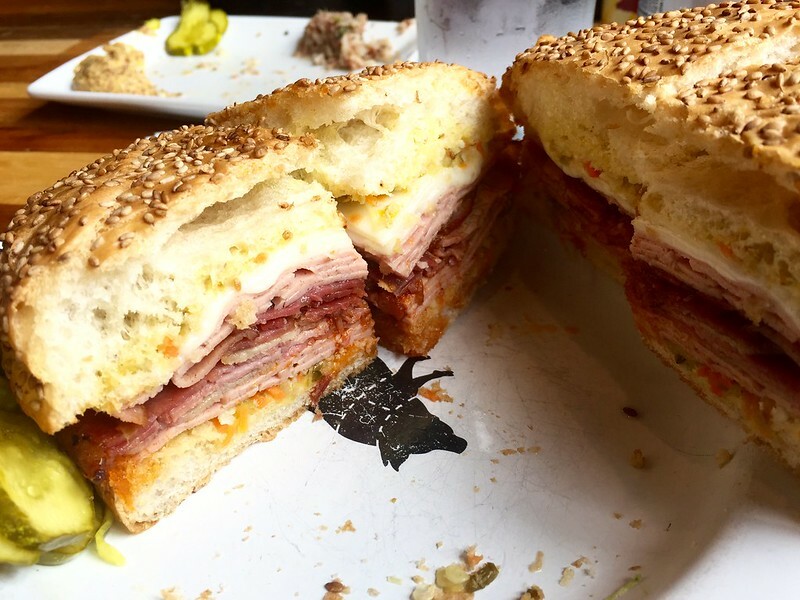 I liked, didn't love, the muffuletta. 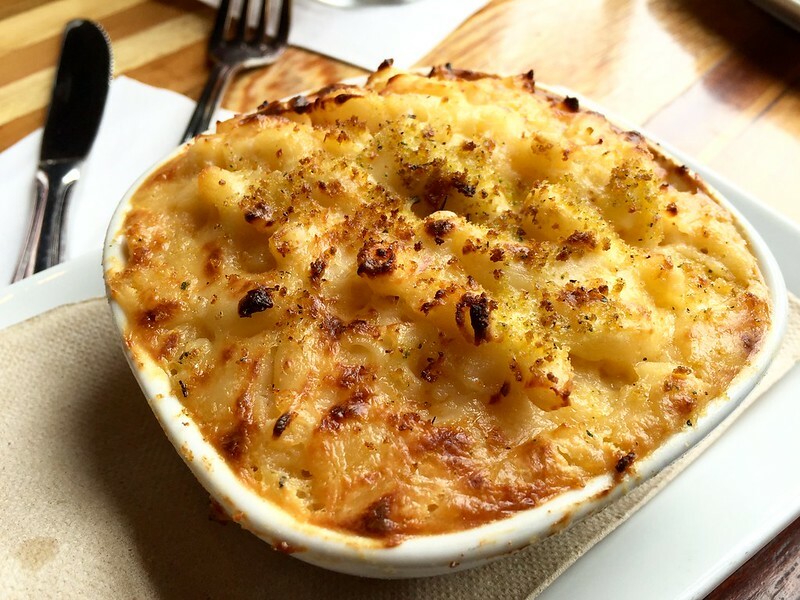 The mac and cheese was pretty damn good too. The seasonings/ratios were not as much to my liking as others. My favorite: still Stein's in NoLa . . . if you haven't tried it, do so! 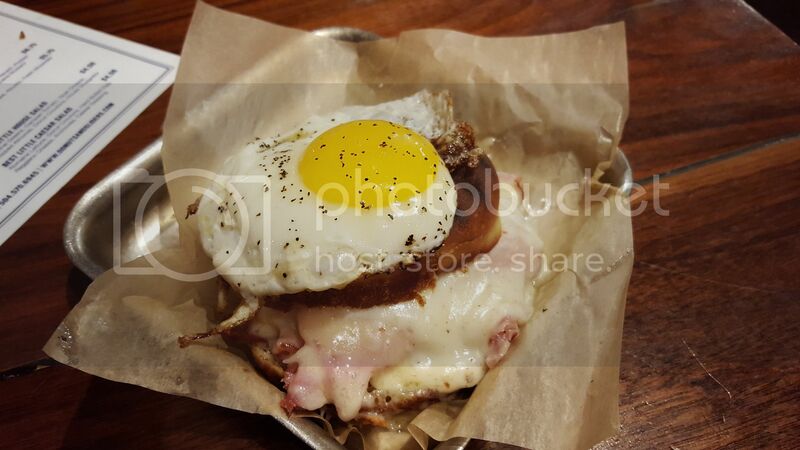 In any event, Cochon Butcher was terrific. 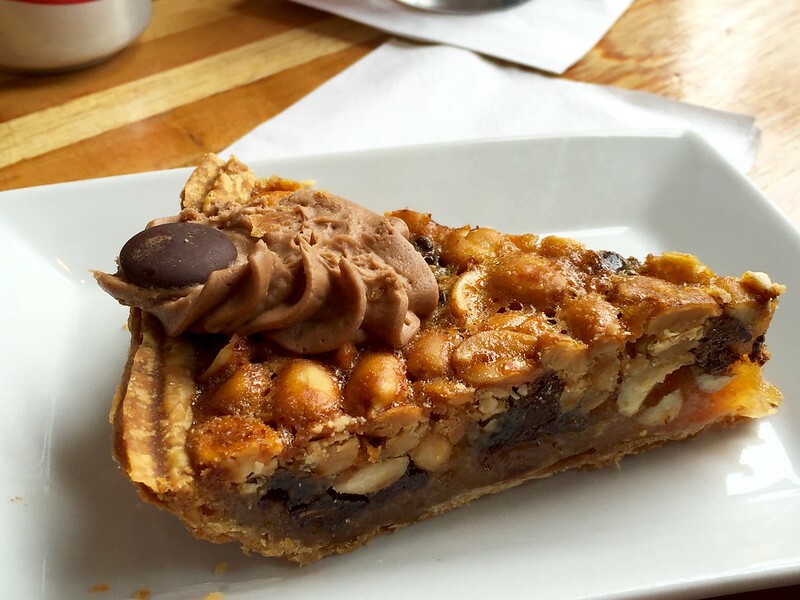 Chocolate peanut pie - wow! Finally, our last dinner was at Compere Lapin, helmed by former Top Chef runner-up Nina Compton. What an amazing dinner. 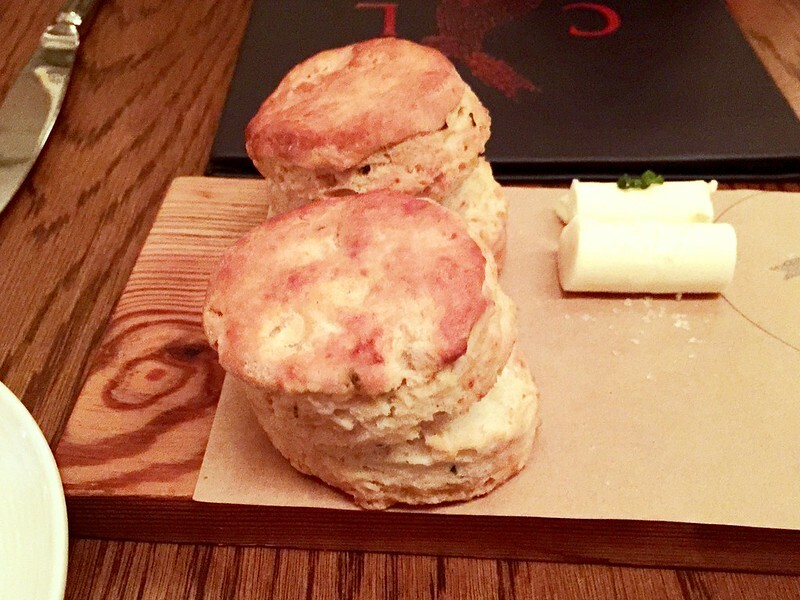 Terrific flaky biscuits, served with a bacon butter and a honey butter, began the meal. I then enjoyed a snack of dirty rice arancini. They could have been dirtier, but they were crispy and delicious. My companion's marinated shrimp with jalapeno jus was fantastic. 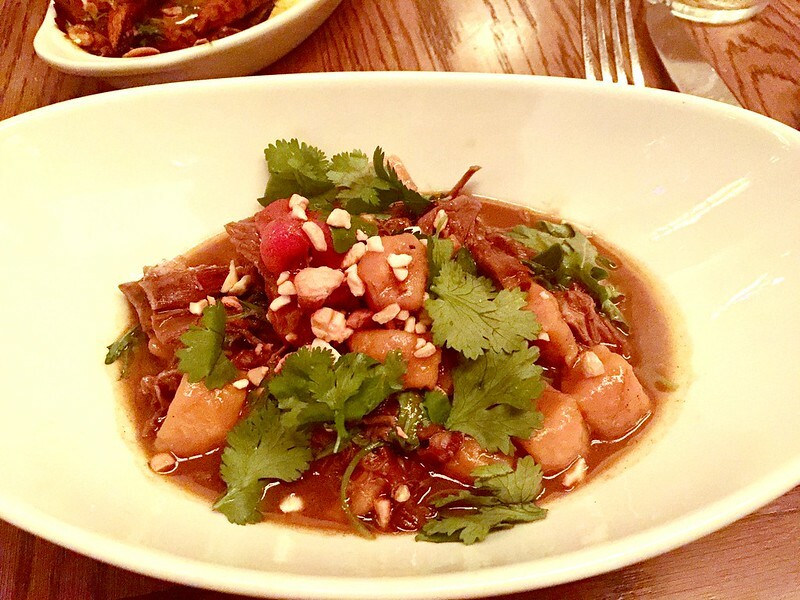 For an entree, we both had the goat curry with sweet potato gnocchi and cashews. This was one of the best dishes I've had this year and fantastic in every respect - a delicious curry, tender goat, well made gnocchi. But aside from the terrific flavor, I was impressed that Nina was not restrained in terms of spice. This goat curry had you reaching many times for a glass of water, and I never have aversions to heat. I might almost be willing to fly back to NoLa right now for the goat curry - best dish of the trip. I finished off with a terrific lime cheesecake with mango granita and a crushed cashew brittle. There were many bars in and around these meals. The cocktail culture is alive and well in NoLa and I appreciated jumping from one to the next, with some jazz mixed in. Most were repeats for me, though I had not previously visited Cane & Table or Three Muses - terrific experiences at both. Now, looking forward to returning to my favorite city in the US. I leave always saying that I wish I had more time to spend there, though this was the shortest trip of any of mine. Rescheduled our weekend Charleston trip (good luck, Charleston) to New Orleans instead. I haven't been since a little pre-Katrina, and obviously the food options are overwhelming. There will be a group of 8 of us. Does anyone have some current must-eats, maybe a couple of nicer places, a couple of street joints and a couple of cocktail bars? The choices are many! It's been a couple of years since I've been there and obviously there will be no shortage of great options but I wanted to throw out a couple of places that I enjoyed. For cocktails, Cane and Table was a pretty solid spot. It's doing upscale cocktails in a pretty relaxed setting and the couple of shared plates we got were tasty as well. If you are there Friday during the day, I highly recommend August (John Besh's upscale restaurant) for lunch. They are only open for lunch on Fridays and they have a prix fixe for $26 (which has gone up, it used to have the same cost as the year, for example when I went in 2013 it was $20.13). It's a limited menu for the prix fixe, but it is a great deal (and if it doesn't appeal, they do have a full lunch menu); really elegant food in a beautiful setting in the CBD. I have also been to August for dinner and had a great meal there, but the value of the lunch special is pretty great. So much we didn't get to try, but our whirlwind trip featured some good eating. Shaya was excellent, Compère Lapin was OK. Had drinks at Seaworthy, sandwiches at Mother's, got in too late to meet our group at Peche. Ate a ton of oysters, maybe the best at Basin Seafood and Spirits; I had never had charbroiled oysters, but they were a tasty alternative when we didn't feel like going raw. Anyway, can't wait to go back, if only for all the cocktail bars I missed. Heading to NOLA soon. Shaya, Cochon Butcher, and District Donuts are on the list for some foods I know the young fam will appreciate, and we'll be dining out typically earlier in the given days. Any other must-hits (dining or cultural) with kids in The Big Easy? Toups' Meatery, in Mid-City, had some good charcuterie and an outstanding loin of venison when we were there a couple of months ago. Can't vouch for its kid-friendliness, though. The Audubon Insectarium is very kid-friendly, though. Been back a few times in the last several months. I can't get enough of the fried oyster salad at Lüke, and the local oysters are incredible right now and can likely be found just about anywhere, but dang do I like Lüke. On our most recent visit we also had a nice brunch at Cafe Amelie in the quarter. 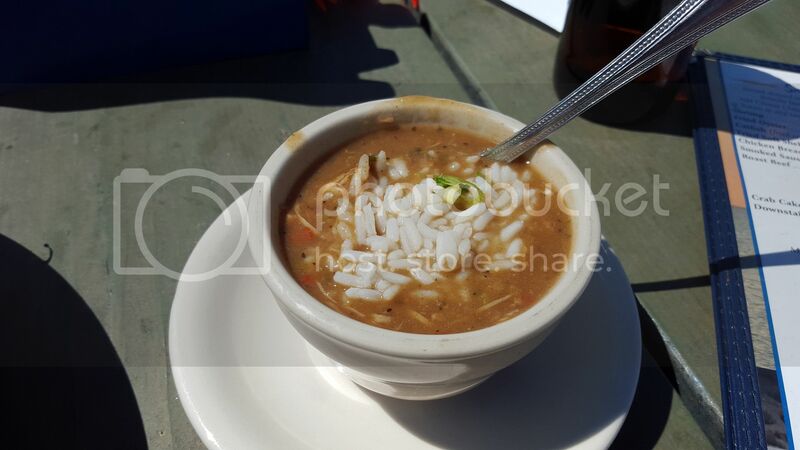 I also had the green gumbo at Cane & Table, which was quite tasty though not quite like the famous version at Dooky Chase's. 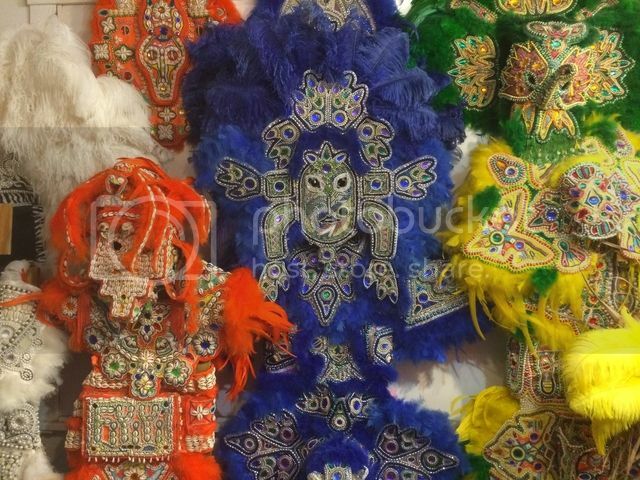 The Backstreet Cultural Museum is a short walk from the quarter (walk through Louis Armstrong Park to get there) and is $10 (cash only) but a unique experience if you are at all interested in Mardi Gras Indians and Second Lines - see above for some additional comments and photos. On the latter topic, check WWOZ's website for the Second Lines that will be occurring during your visit, that could be worthwhile. The WWII museum is a must if you haven't done it before, not sure about how young the children are which might influence whether it is a good option. bobbywal wrote: The Backstreet Cultural Museum is a short walk from the quarter (walk through Louis Armstrong Park to get there) and is $10 (cash only) but a unique experience if you are at all interested in Mardi Gras Indians and Second Lines - see above for some additional comments and photos. On the latter topic, check WWOZ's website for the Second Lines that will be occurring during your visit, that could be worthwhile. These posts were much-appreciated and much-used on our little jaunt. Cultural hits included the Jean Lafitte Swamp Tour, the Southern Food and Beverage Museum (great scavenger hunt for kids; sazerac and salty muerto for adults), all three Audubon sites (Insectarium, Aquarium, Zoo, though they've stopped the ferry service from downtown to the zoo), and actually the Historic Voodoo Museum, which is tiny but did the trick perfectly for kids. Toups, Cochon, Central Grocery, District Donuts, and Cafe Du Monde (though Cafe Beignet had better beignets) were classic as expected. New hits I can add were Legacy Kitchen Warehouse, happy hour nosh at Cafe Adelaide, and the Restaurant des Familles in Marrero near the Barataria preserve. My wife did a careful study of the coffee shops and I'll try to talk her into a report (Revelator's americano and District's nitro chicory cold brew were my personal faves). We found the city and people enchanting, and I'll work to post some pics later this month. 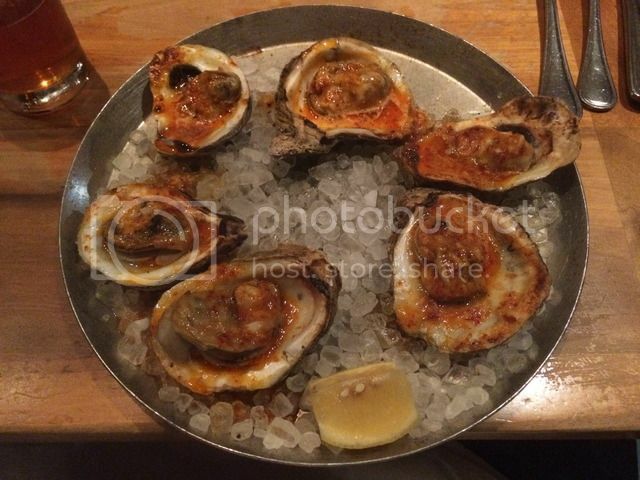 Dragos: stayed at the Hilton so made it easy to finally try the grilled oysters. Hot damn were they fantastic. 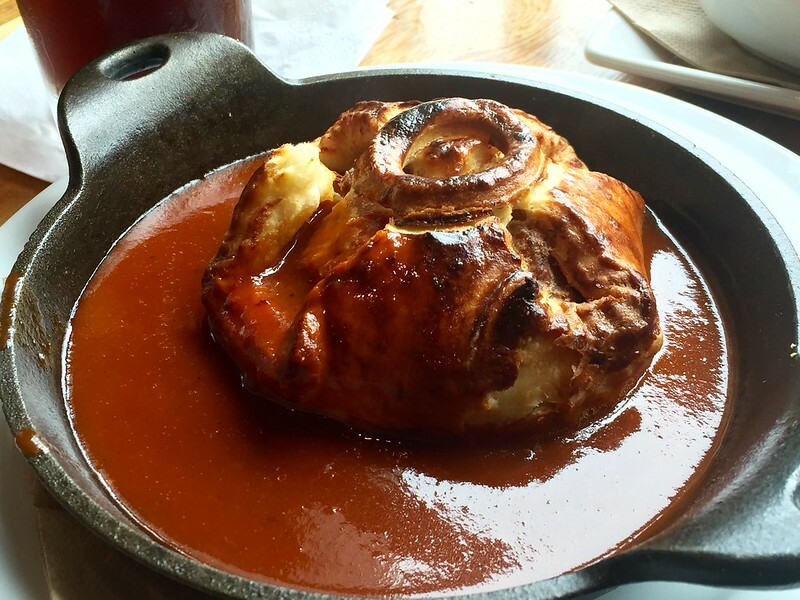 Cochon: This place continues to be one of my favorite restaurants in the country, and this visit did not change my opinion. Gumbo was excellent as was the smoked ribs and fish of the day. The menu has stayed relatively constant over the years and as an annual visitor, it's not a big deal. But FYI for anyone planning a return trip. 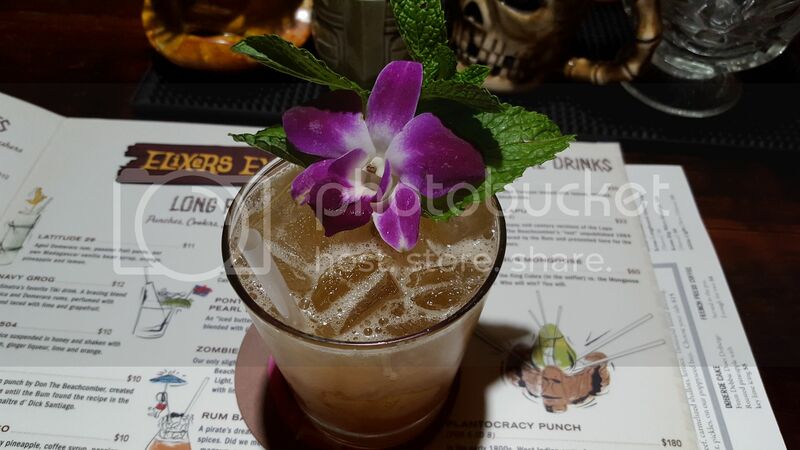 The Rusty Nail: Was looking for a nearby bar after cochon, and I cannot recommend this place enough. Your typical neighborhood Nola bar with a huge patio. 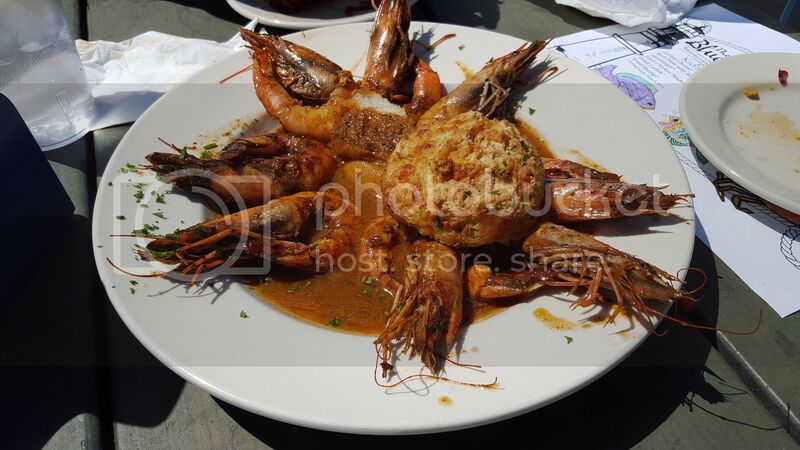 Emerils: I rarely think to visit one of his places, but finally did and the flagship was great for lunch. 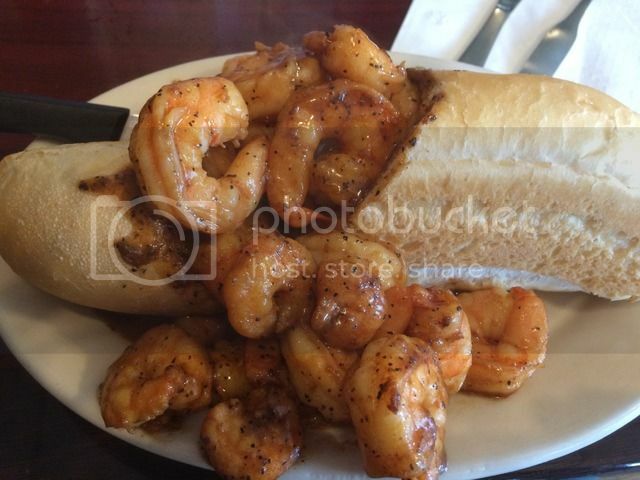 Nice version of a hot roast beef po boy, excellent gumbo and the BBQ shrimp was delicious. And service as expected was uncomfortably good! 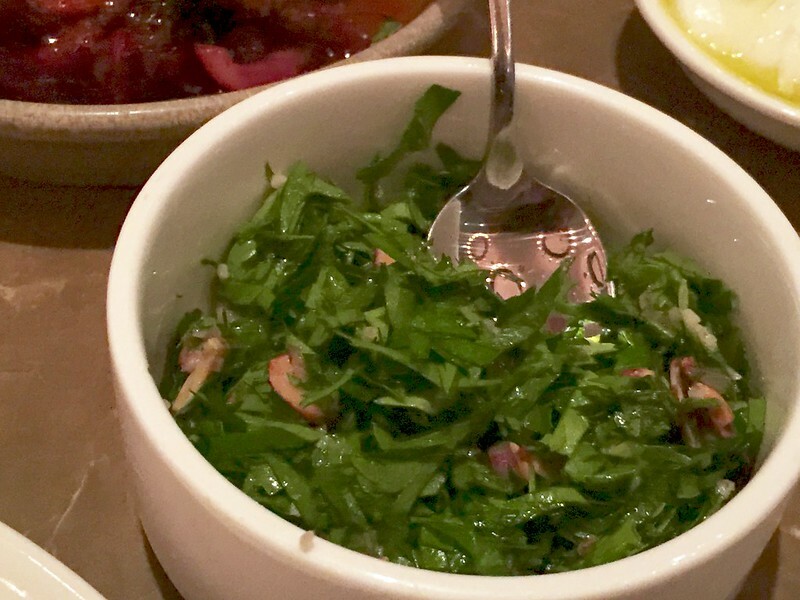 Shaya: can't say enough good things about the food here. 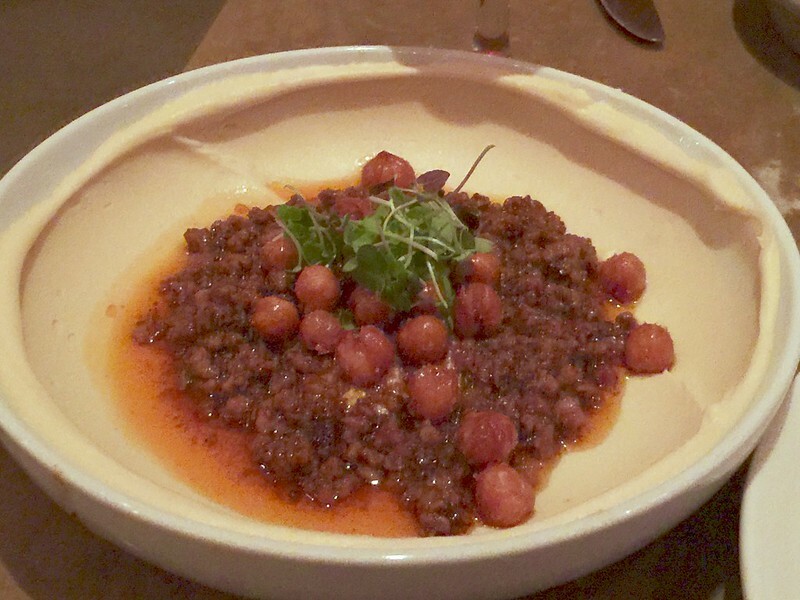 Lamb ragu hummus, baba ghanouj, tabouleh and falafel were probably all the best versions of each I've ever tasted. 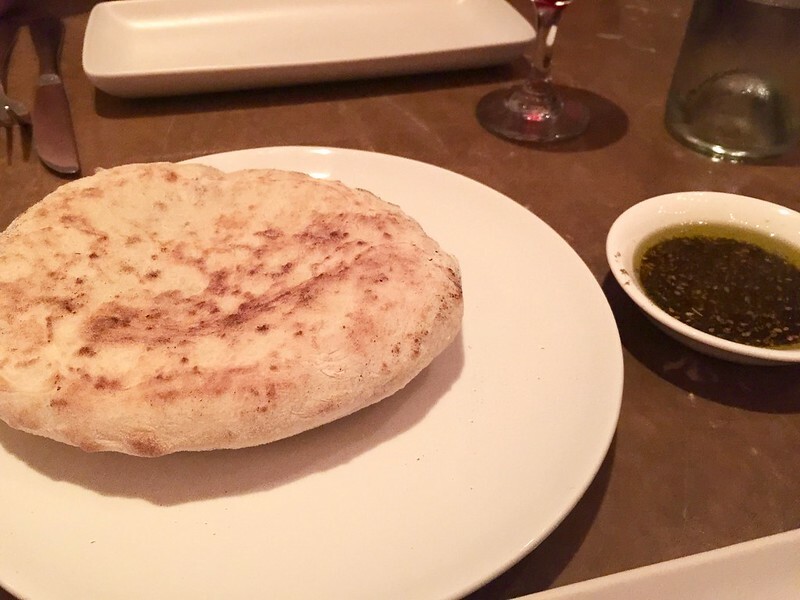 Baba ghanouj isn't my favorite, but shaya's smoky version was one of the best things I've eaten this year. Erin rose: if you're forced to spend some time around bourbon st, Erin rose is your escape away from it! I love this bar so much! The frozen Irish coffee hits the spot on a warm afternoon. Didn't have killers power boys this time around, but they are tasty. Circumstances kept most of our visits near the hotel premises, but we still ate well. Can't recommend Nola enough for everyone! !